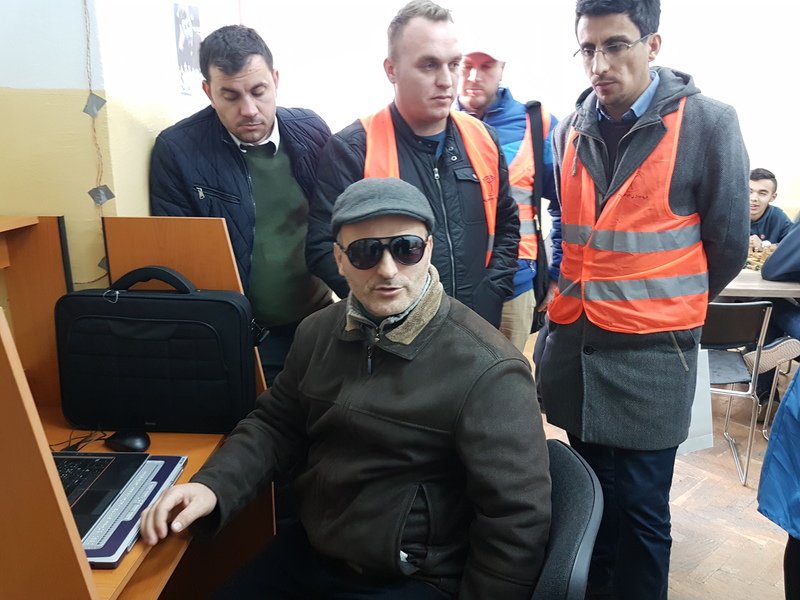 Professor Dani Gashi who himslef is blind and is professor in this school explains how he is coping with his assignments. “Humanity First – Serving the Mankind” its German Chapter helped this year in different parts of Kosovo, helping in different spheres. Help for the current year included a computer lab in a school, assitance to down syndrom, food packets to needy and meat donation on the eve of idul azhia. Another professor of school explains how visually impared children are taught different arts. Alongside stands Mr Jinahuddin Saif the national head of AMJ/Humanity First Kosovo. 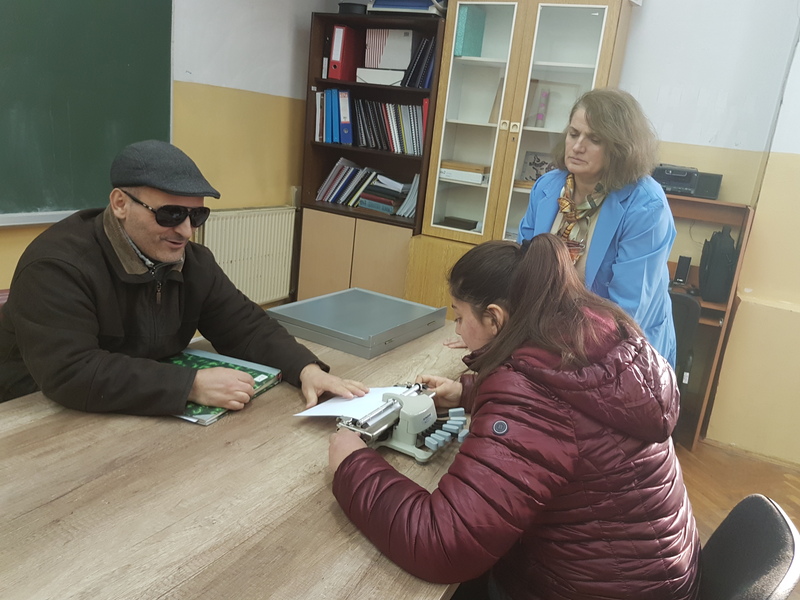 “Humanity First Germany” on 06 December 2018 responded to the need of a special school for visually impared and blind chidren, “Xheladin Deda” in Peja, which is the only institution in Kosovo that provides education for students with special needs. This school works since 1982 and despite the obstacles it has faced over the years, it has received students till today. In this school proceeds the teaching and preparation of primary and secondary education students from pre-school to grade 13. There are approximately 30 students within, and over 40 students are integrated in other regular schools. The school also has dormitory, pedagogical staff of 20 teachers, while technical staff is 15 to 17 persons. The problem and the need of this school have been cold during this winter in the children’s cabinet because the main tool for reading Brajl is fingers and students have a hard time staying in the cold. Mr Zubair K Khan, Director Humanity First for Balkan Area presenting Humanity First Shield to Director of the School. “Humanity First Germany ” came to school asistance by providing: work desk, desk for activities, laptops, heating devices, curtains, etc. 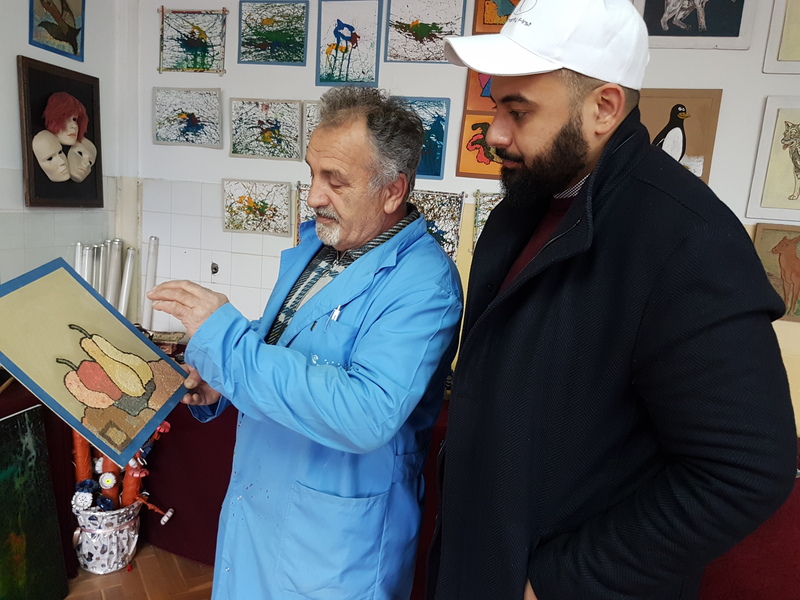 Professor Gani Gashi, who volunteered in this cabinet, commented: “During the winter, in this child’s cabinet was very difficult to read because it was very cold, but now with the ‘Humanity First’ help will be easier “. The director and staff of this school were very grateful for the help given to this school. Humanity First Director for the Balkan Countries, Mr. Zubair Khan and National Head of Ahmadiyya Mission in Kosovo Mr Jinahuddin Saif promised to continue the humanitarian cooperation with the school in future also. A group photo of School staff, students and volunteers of Humanity First. Has to be as you have sweet memories with Kosovo and it was your initiative which paved the way of Ahmadiyya in this great country. Really amazing to see the work Ahmadiyya Muslim Jama’at is doing, Keep it up! Another great project to work on by Humanity First. We need to follow the great foot step of them and start building a relationship with others. MashaAllah! Good job! Keep it up! May Allah bless and reward the whole team of humanity First in all over the world. Masahallah this was such an amazing job done by the Ahmadiyya Muslim Jama’at and humanity first. Hopefully we can see works like this done in the future as well.